Pink Ink and Polka Dots: Kinder Kraziness: Happy Anniversary To ME!!!! 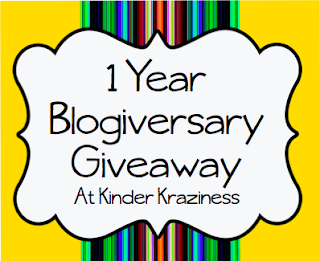 Kinder Kraziness: Happy Anniversary To ME!!!! WOWZERS! This is an unbelievable giveway, 14 bloggers giving away 14 products! You have to click below and send some love to Laura over at Kinder Kraziness and enter the giveaway!